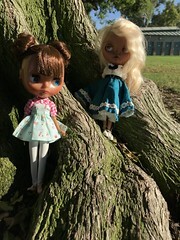 ^^ I got my orders of doll clothes (two sleep forever dresses and one second hand ronmiel set). I have to say, getting in dolly time is SUPER hard when the kitten wants to be a part of everything I do. 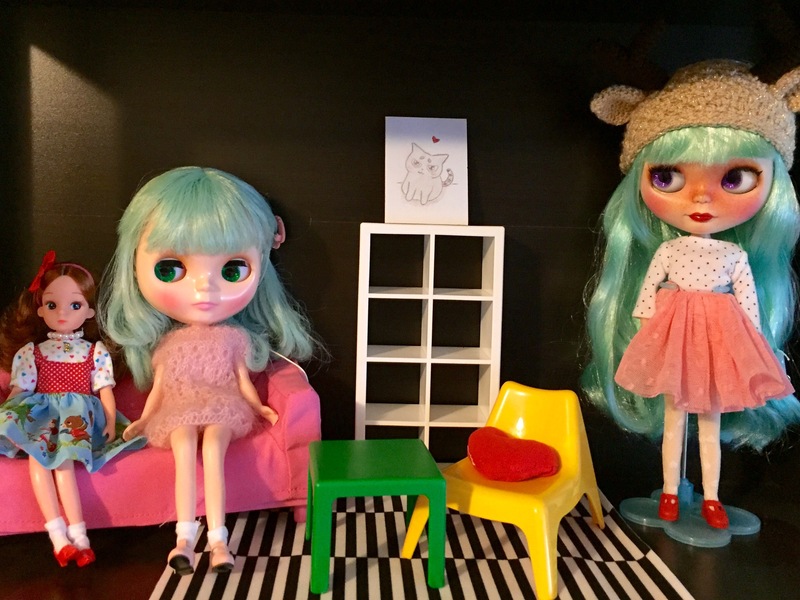 I only managed to get the girls on my shelf redressed (will tackle the girls in the glass house tomorrow hopefully). Marina is wearing a minijijo dress, a knitted cardigan, and rement Mary Janes. Mikan is wearing one of my new Sleep forever dresses and shoes from Kuloft. Remy is wearing the Ronmiel long sleeve shirt, a pinafore from missblythe2012, and loafers from a Daiso Elly chan set. 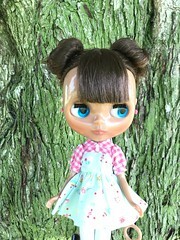 Reese is wearing a plasticfashion dress and rement Mary Janes. What you see here is the shelf that my two cats can’t reach (YET). I have the IKEA huset set displayed, as well as a chair I picked up from Daiso. I plan on painting the table with some chalk paint, wallpapering the back of the shelf, and crocheting a cuter rug… some day XD. I feel so behind in my crafting/hobbies. It’s hard to get anything done with the kitten bouncing around (she’s so stinking cute and sweet from time to time that it’s hard for me to stay annoyed with her). 🙂 I hope to fit more dolly time in this long weekend. … not… terrible… right? … I need to control my spending but something about the year ending is making me stress shop. I really can’t believe 2016 is almost over. I probably said this about 2015, but this year really flew by. It’s kind of scary how fast it went, and I feel like this sort of feeling is a sign of aging. 10 years ago, I don’t think I felt this way (I think I felt like time inched forward). 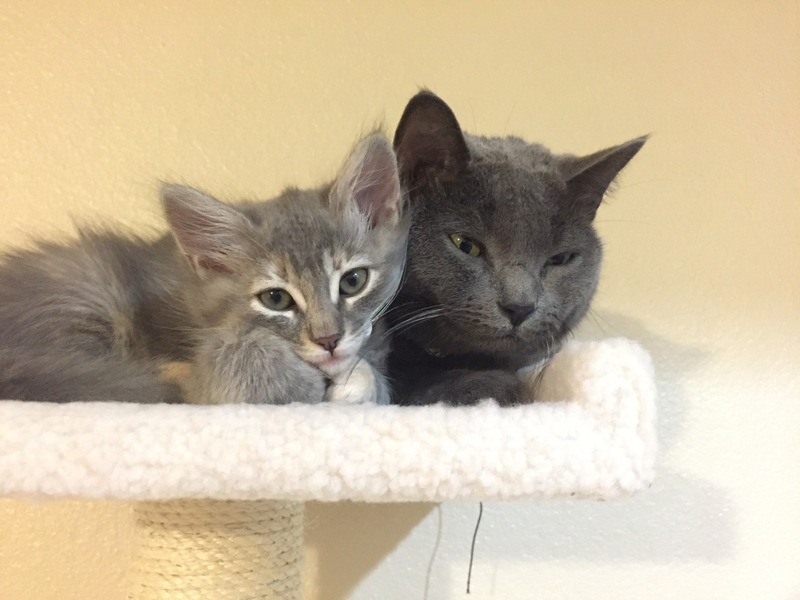 In 2016, I quit my job, moved to California, and adopted a new kitten. I got my first car. I made new friends. 2016 was a big year. To treat myself during this holiday, I’ve been window shopping these past few days. I bought some shoes on the second hand market, and I’m pretty pleased :3 . Check it! 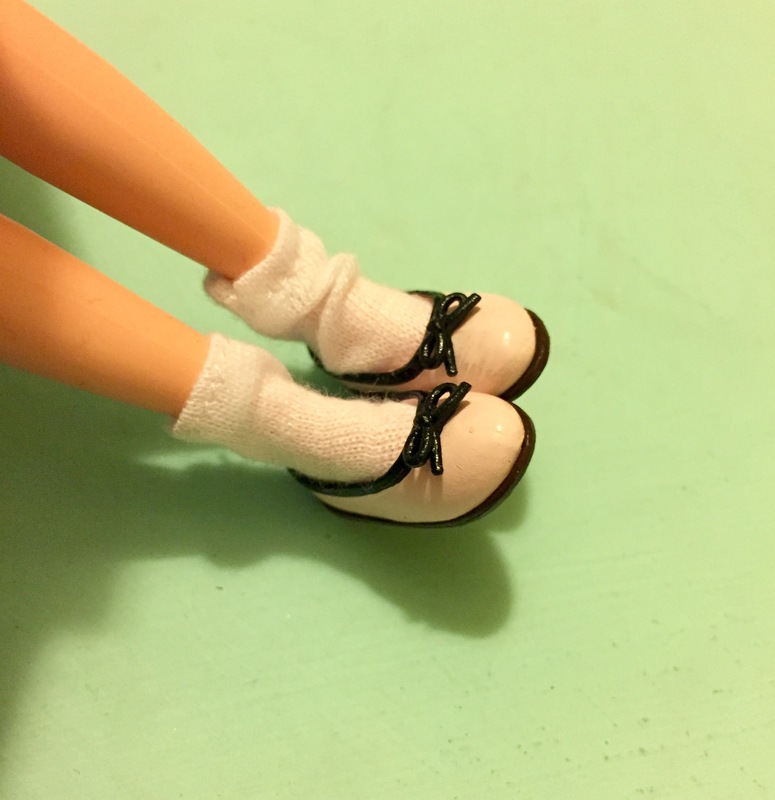 I kind of only really wanted the boots and the two Mary Janes, as I’m not a fan of Barbie heels for blythe or licca. I love how the Mary Janes look on Mikan! 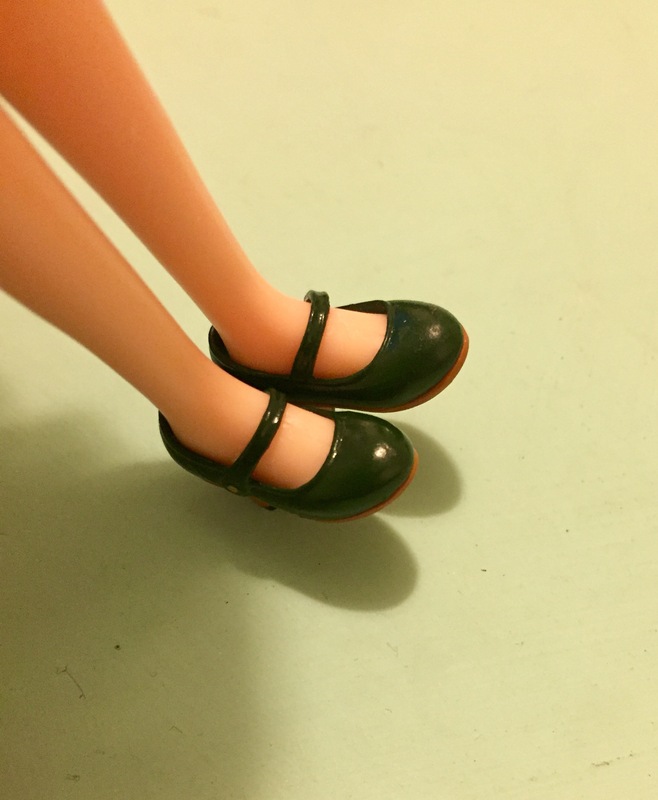 I think these shoes might be a tad too big for regular blythe feet, but I was looking for shoes for licca anyway ^^. I feel pretty complete with my shoe collection. I hope everyone has an awesome holiday! I’ve always been interested in magic and the supernatural. 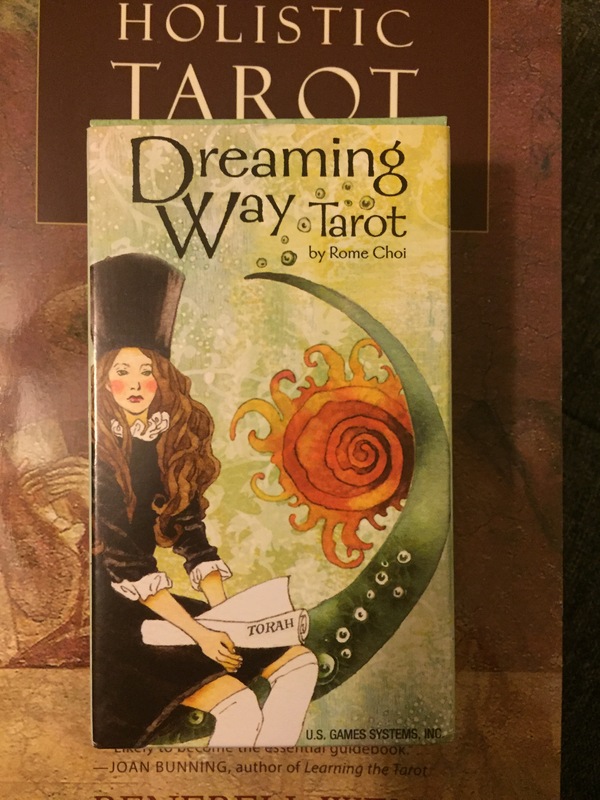 A few years ago, I picked up my first tarot deck – the Mystic Faerie Tarot deck, and I liked using it not to predict anything, but to give me a different perspective on my life or problems. 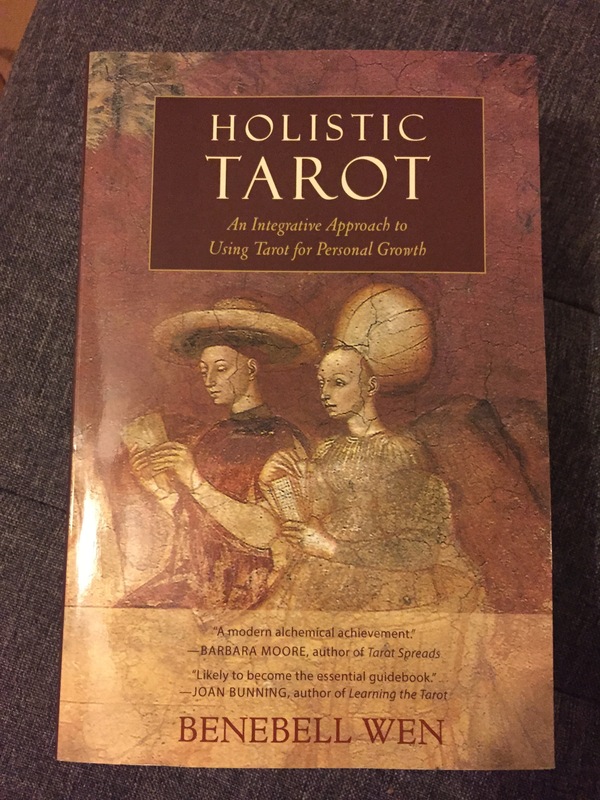 This particular tarot deck comes with a book that relates the cards to stories with morals. The deck was relatively easy to use and I really liked the art. Recently, my sister with whom I don’t share much in common, expressed interest in tarot cards, so I gifted her one of her choice for Christmas ^^. I pulled out my own deck and brushed up. I even read the cards for myself and my friend (who ended up borrowing my deck to see how she would like having one – yay :3). I also picked up a new deck for myself and also a book to help me better read the cards (because it’s really complicated). I shuffled through the cards of the Dreaming Way Tarot, and the art is beautiful, but when I read the booklet that came with the cards, I was surprised by the intention of the cards and the suggested reading (because I’m a tarot noob). This deck focuses more inward with the goal of obtaining contentment with what is (appreciating good things). It’s actually what I need, to have a more positive perspective. I ventured off to the local spiritual/crystal shops in my area, and I picked up two stones for myself and a handful of stones for my sister. 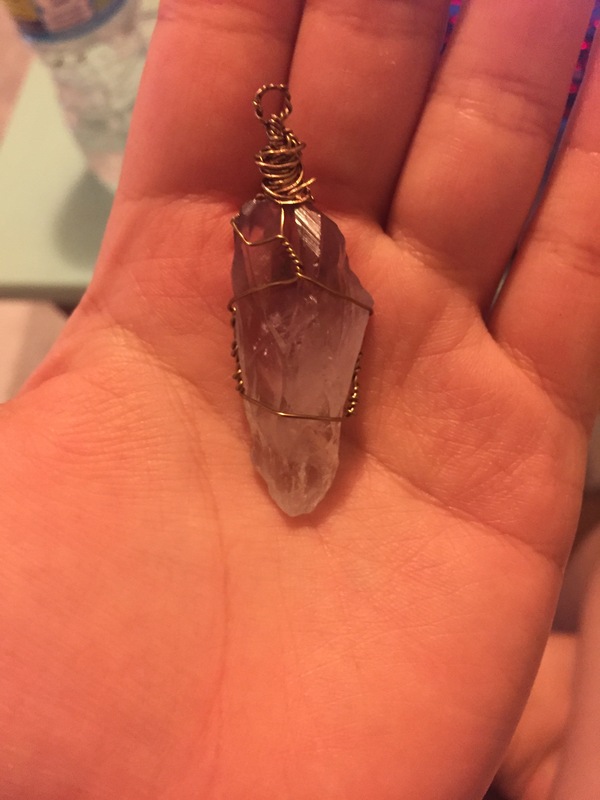 I also attempted to wire-wrap an Amethyst to give to my sister ^^. I’m quite pleased with the result and I’m going to make one for myself (oops, I might be picking up a new interest). As for crocheting/knitting, I’m currently working on a throw made out of some chunky acrylic yarn. I’m no where near done >_< which is the problem with big projects. It’s also taking me longer because I can only crochet when the kitten is sleeping. All in all, I think I had a good weekend. Yeah I’m kind of a weeb. I decided on the name Mikan, which means mandarin in Japanese. It’s a fruit that is pretty much exclusively eaten during the winter in my house, so whenever it gets cold outside, I usually kind of want to eat one of these fruit. It’s also the name of the protagonist from a manga I used to read called Gakuen Alice (I don’t really like this character but whatevs). 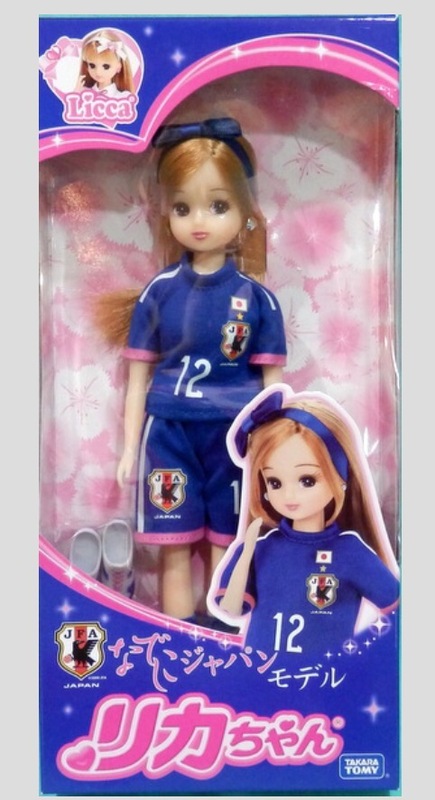 I’m pretty impressed by her licca body. It’s quite sturdy and it’s a non-tilt neck body. She also comes with pretty nice boy short undies ^^. She comes with these cute silver earrings, which I like because they don’t look too plastic-y. I kind of feel a second wind coming on. 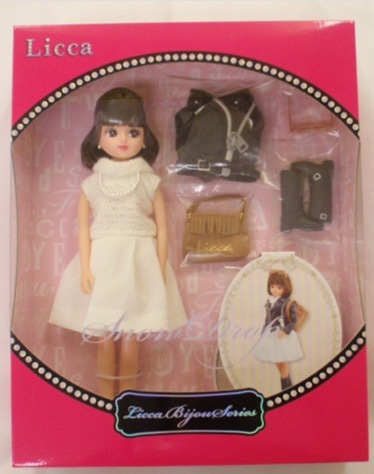 A (not really) new addition to my doll family – I decided to unbox a licca doll, though it’s been almost a year since I purchased her. 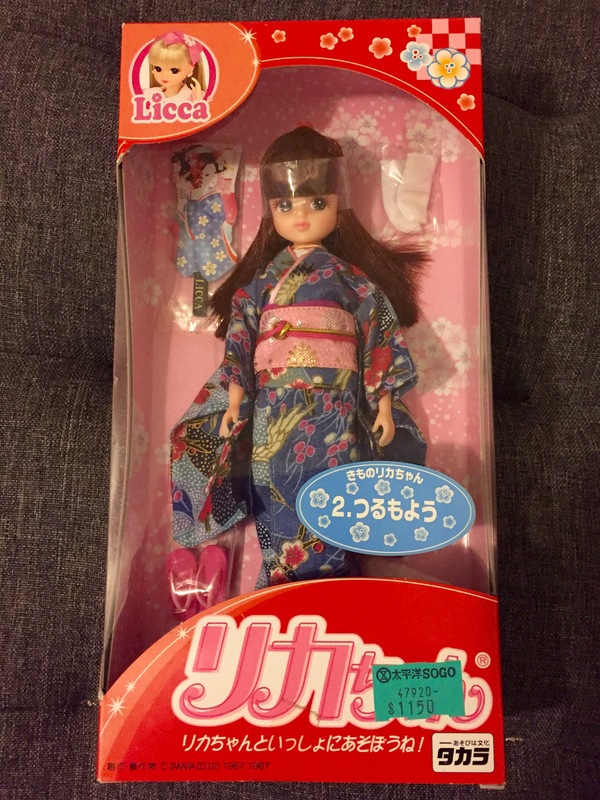 I had every intention to sell her, since after some research, I found out that she’s kind of an older licca (though she has a 4th gen face mold), with a really nice stock kimono. 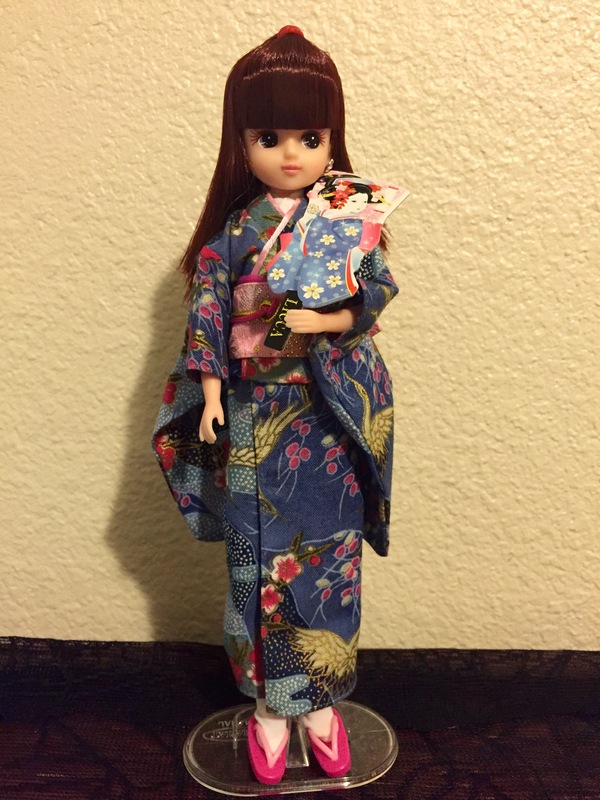 She is Plum Kimono Licca Chan. 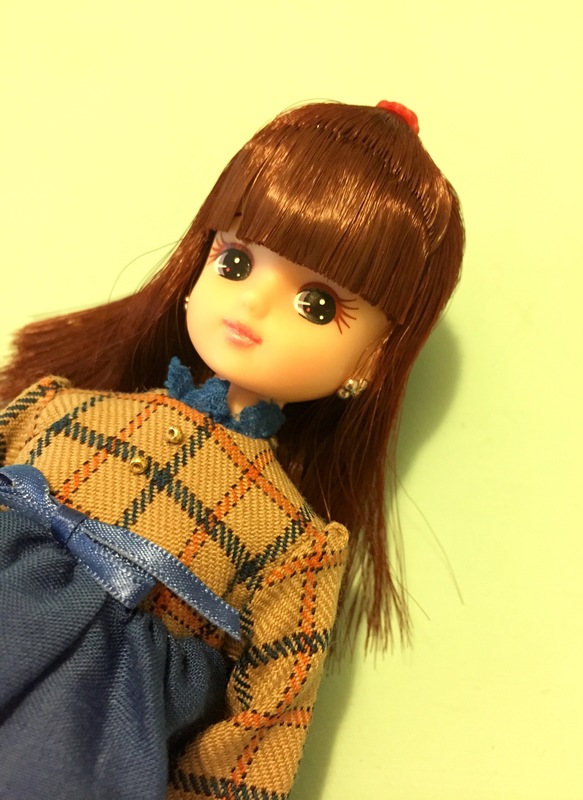 She has dark reddish brown hair, which I will most likely never restyle (like my repro licca). I haven’t undressed/redressed this girl yet, but I’m excited to see how many layers the kimono actually is and get a look at the construction. When I redress her this weekend, I’ll get to thinking of her name too. I was thinking Mikan, which means tangerine in Japanese… Because it’s a favorite winter fruit snack. I haven’t been able to do anything with yarn recently because my kitten won’t leave it alone. only when she’s napping can I quietly make a couple of stitches (until she wakes up and notices what I’m doing). 🙂 will update again with new outfits on my girls soon. Because of the new kitten, I haven’t been able to do much with my dolls or with yarn. She has a way of wanting to be a part of everything that my older cat and I do. Today, after a bit of cleaning and tiring the baby out with a good play session, I got to redressing my Blythes and organizing my shelf ^^. 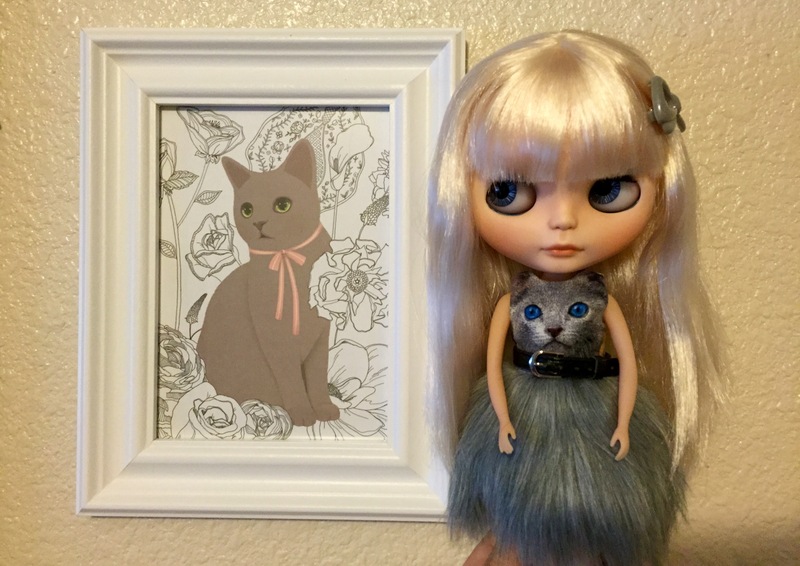 My dolls are as inaccessible to my pets as I could make them. 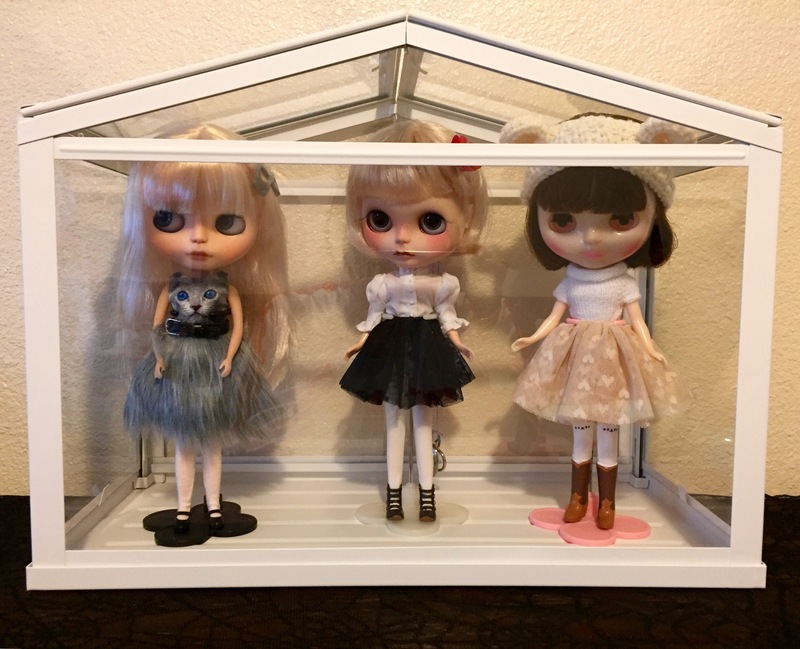 I have three girls in an IKEA socker greenhouse, and three girls on one of my shelves. I even took my IKEA huset living room furniture out of the box! I really like the doll furniture set ($17 at IKEA). I will probably repaint the chair and table at some point, but I don’t mind the color of the couch cover. I like that I have the option to have my girls sitting instead of on their stands. I think my favorite outfits this week are worn by Finley and Reese ^^. 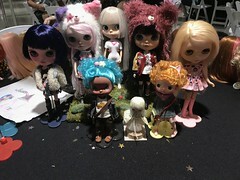 I hope to make it out to the local blythe meet soon! I missed the last one because LA is too far away for me to confidently drive, but i think I’m getting the hang of driving now to feel less afraid to venture out that far. ^^ Also, I may have mentioned that I sent a girl away to be customized. I aim to start a sort of vision board for her to send over to Jann as inspiration. 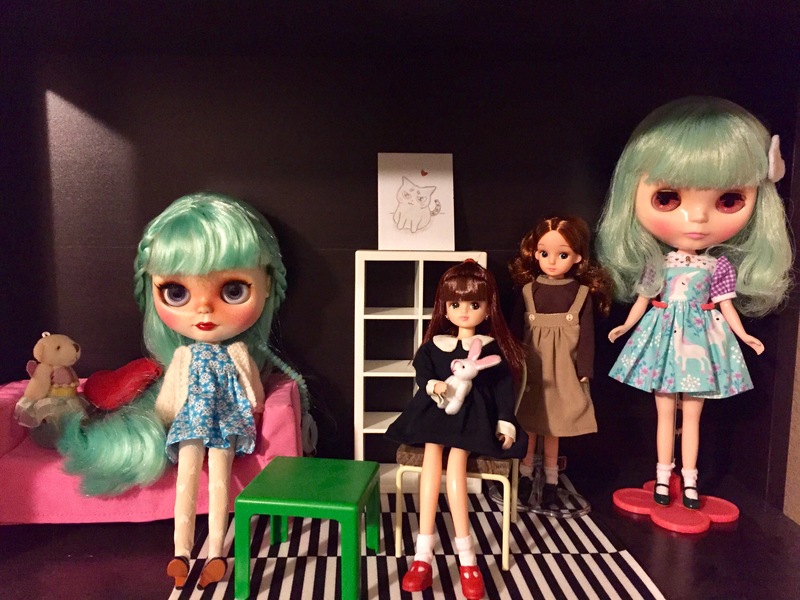 I think I’ve been pretty good this year about buying dolls (I think I just purchased the repro licca and the Hi-ho marine blythe), so getting my new blythe customized is sort of my xmas gift to myself! Very excited :3. Gratuitous cat family photo, and till my next post, folks.